When it comes to data, there is no shortage of it floating around just waiting to be captured and categorized. One of the fastest growing trends in mining data is for marketing purposes. Without an effective marketing strategy, there is no way to inform potential buyers that you are in possession of a product they simply must have. 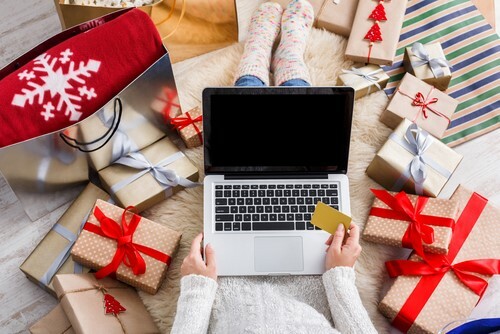 Without a doubt, marketing data is valuable all through the year, but it is extremely important to interpret your data correctly in time to benefit from the holiday rush. Most commercial businesses record roughly 20% of their yearly sales during the holidays, so you want to use your metrics to formulate a great marketing plan. Types of Data Data capture comes in two types—unstructured and structured—and the amount mined by businesses is increasing at an astonishing rate. Unstructured data includes information gathered from non-traditional technologies and tools, such as customer service experience comments placed on social media. Structured data is information obtained directly, such as data relating to purchase transactions. With the advent of advanced technologies like in-memory database systems, mobile platforms, and the cloud, it is increasingly easy to capture and analyze data in ways that are cost-effective. What this gives us are new ways for customer engagement and extended reach being discovered almost daily. Consumers are using technology in more advanced ways than ever before, and it is affecting the way they make purchases. 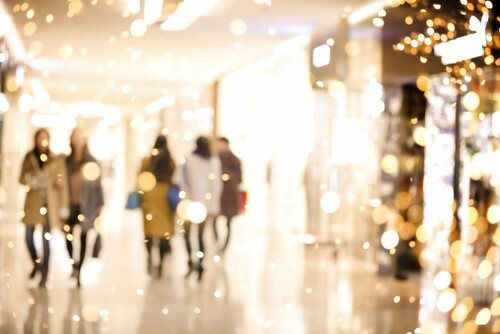 Holiday Marketing Know-How The push for holiday marketing campaigns begins long before the final quarter of the year. While the real world is still focused on summer BBQs and trips to the beach, experienced marketing teams have stepped over to the virtual holiday rush dimension. The goal is to skyrocket sales during the holiday shopping season, and the only way to do this is by creating a marketing campaign that grabs the attention of shoppers and gets them talking. Depending on your business, this could mean finding new ways to market classic products or going all out to promote your newest lines. Marketing requires knowing and understanding your customers—what their likes and dislikes are, how they engage with your business, and, above all, what they want. Data is where you will find the answers to these burning questions. Making the Data Yours This may sound like a simple process, but correctly identifying key sources for data collection can be confusing and complicated. Several questions must be asked if your business is to benefit at optimum levels from data. Are there missing data sources? How vital are they to the overall picture? How much and what type of value do they provide? After all the available data sources have been noted, they need some assessment for underlying details. The assessment falls into three categories—timeline, resources, and feasibility. Does your business have the proper resources to tap the data source? Will you be able to complete the process promptly? Is it even possible to capture the data from this source? 1. Data integration for marketing is vital. Having piles of data is a great first step, but you must be able to use it effectively. Do customers prefer to see bright colors or neutral ones? Do they respond better to snowmen or Santa Claus? Would they rather receive a written text message or a photo message? From all the sources that data is obtained, it then must be transformed into compatible and cohesive blocks from which the critical information can be extracted. With the relevant data analyzed, the next step is to distribute actionable awareness presented with simple and easy user interfaces on mobile platforms. For companies to make better-informed decisions quickly, it is necessary to integrate technology and data platforms. This in no way guarantees your decisions will be better overall—only that they are made once you have all the key facts together. Once you have the appropriate data in hand, it can be used to inform your holiday marketing plan and then stored for future use and comparison. 2. Link to strategy. Holiday marketing strategies need to focus on both short and long-term goals. Gather your marketing team together to allow everyone to review all past and current data collectively. Focus on locating any gaps that may exist between your marketing strategies. Part of reviewing your collected data portfolio is being able to visualize the link between the data and your business strategies. Every step for effective marketing must ensure each action complements or contributes to the strategic plan you have in place. 3. Choose effective platforms. You have decided on a marketing strategy, and now you need to put it into place. Where should you focus your efforts? The data you have been collecting will lead you down the correct path in making this decision. Do your customers engage with your brand most often over social media? If so, target your campaign as a blitz across Twitter, Facebook, and Instagram. Does your blog have a large interactive following? Start blogging about holiday specials, new products, contests, etc., and encourage feedback from your customers. To pique interest, consider releasing daily “teasers” until the final unveiling. Depending on the budget and the preferences of your consumers, you may choose to integrate visual campaigns such as email, text messages, social media, and stunning in-store displays. Keep careful track of what is and isn’t working since this will be valuable information for next year. 4. Create a content funnel. Even with the right platform, your marketing campaign will go nowhere if the content does not lead to generating revenue. This is where data capture is vital in making decisions on the type of content that resonates with your audience. Let’s look at a simple example to illustrate this point. Company X posts a picture on Facebook featuring its new products on a holiday background with a short descriptive blurb. It receives 4,000 likes, 500 shares, 300 clicks on the link to purchase the product, and 40 confirmed sales. Then Company X also creates a holiday-themed video of its product in use with great visual and auditory components, which is posted on YouTube. It receives 240,000 likes, 125,000 shares, 100,000 clicks on the purchase link, 75,000 new subscriptions, and 40,000 confirmed sales. Which strategy sounds better to you? Creating content that engages and entices buyers will put them on the path to purchase. Final Thoughts When it comes to holiday marketing, you are competing with almost every other business on the globe for a piece of the revenue. Every business has a holiday marketing strategies, so yours must be truly spectacular to stand out from the crowd. Additionally, customers are a finicky bunch and what worked last season may not garner the same results this year. This is one reason why keeping track of data is so essential to the way we do business today. As technology continues to advance, so will the ways we reach out and engage with both current and prospective customers. However, the need for data will never decrease. When robust analytics and data platforms are effectively designed and implemented, each organizational level becomes enabled to make well-informed decisions regarding marketing at lightning speed. All this culminates in enhanced profitability during the busiest season of the year.